Any teachers can calm down I can spell, and I can keep you organised. Fresh both in and out of the man cave at turnedoutnice.co.uk and into the best gift emporium in Preston (Life’s Little Larks), is my new make. 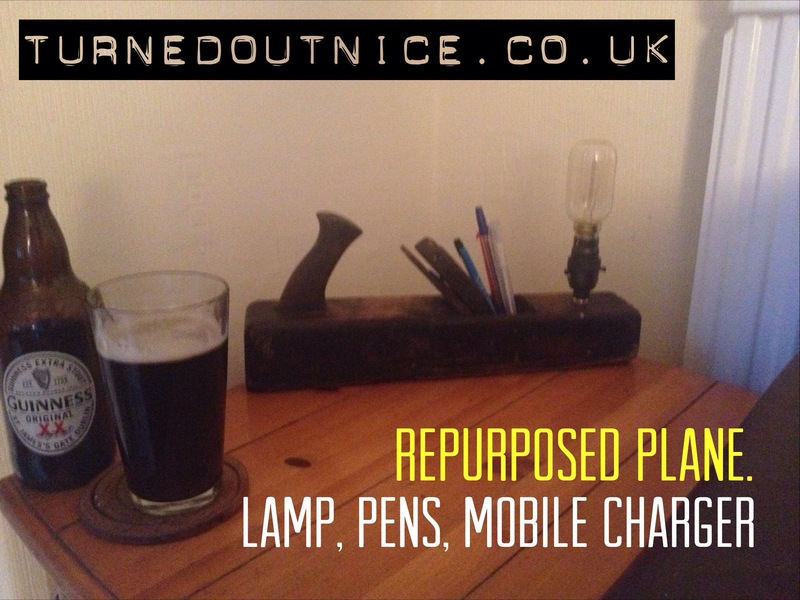 Repurposing an old wood workers plane to include a lamp, your pen tidy and a mobile device charging point. 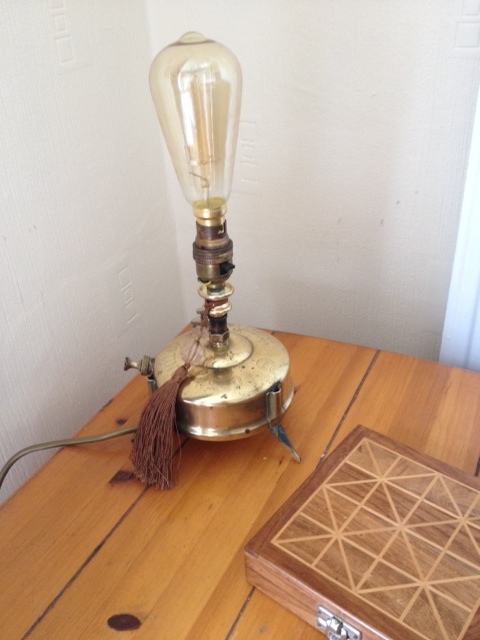 There’s another two to come out of the man cave, and one may become a vertical lamp. As ever, letme know your thoughts. I love hearing your thoughts and comments. It looks like a sunny weekend. Have an awesome one! The Transformers logo is recognisable to nearly every youngster in the world, and as a result to loads of parents as well. It’s not something that is necessarily top of my lists, I might get it wrong in a logo quiz, I might get it right, but becuase of my children, it’s something that is ‘out there’ for me! 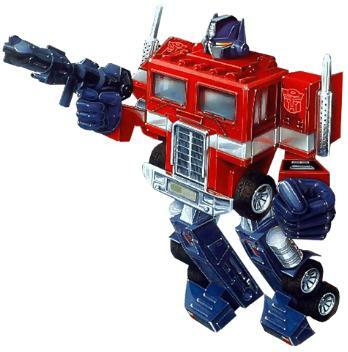 Optimus Prime is the lead autobot, the head honcho of the gang of automobiles that can transform from a car into a ‘person.’ In Optimus Prime’s case, he can change from a rather large juggernaut lorry thing into the lead Transformer for good. He (does a lorry / robot character have gender?) displays a strong moral code, excellent leadership qualities and brilliant military tactics. 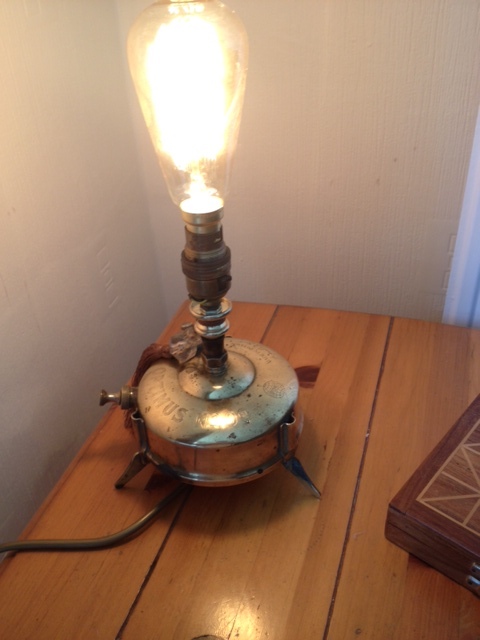 So how does this link to my upcycling and making? On one level I hope it’s obvious, I’m transforming, just like Optimus. 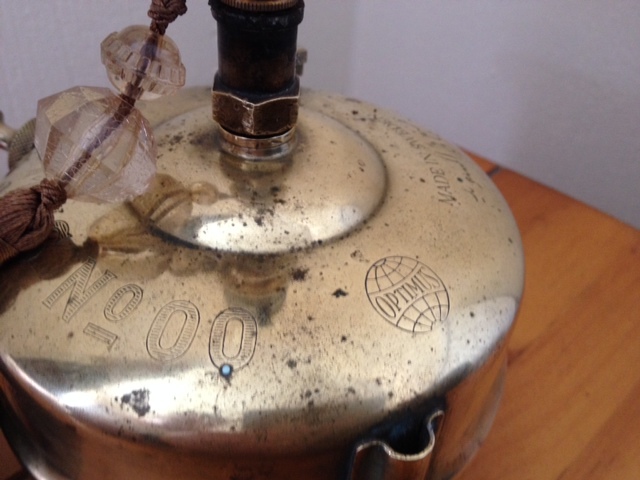 Taking an old used, worn out thing and turning into something else. 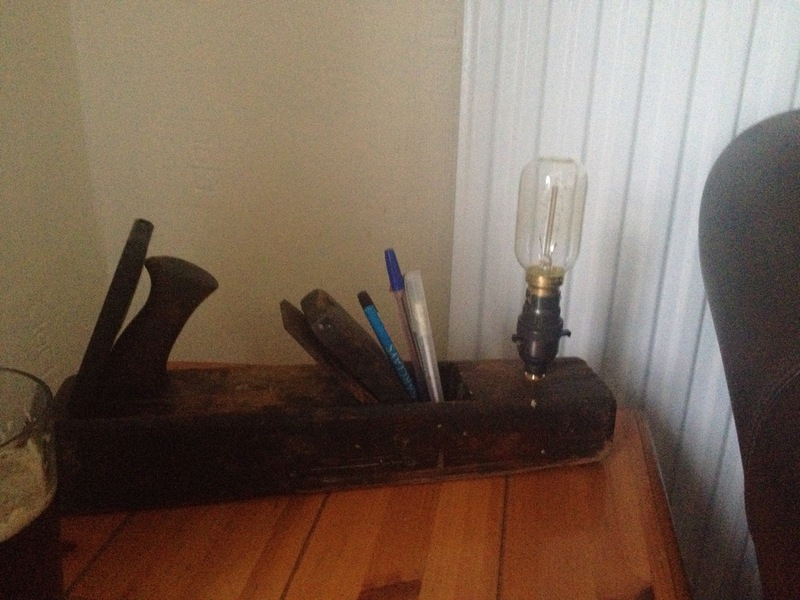 Hopefully useful, with style and which will sit well in someones home as a new, or at least, new use, item. 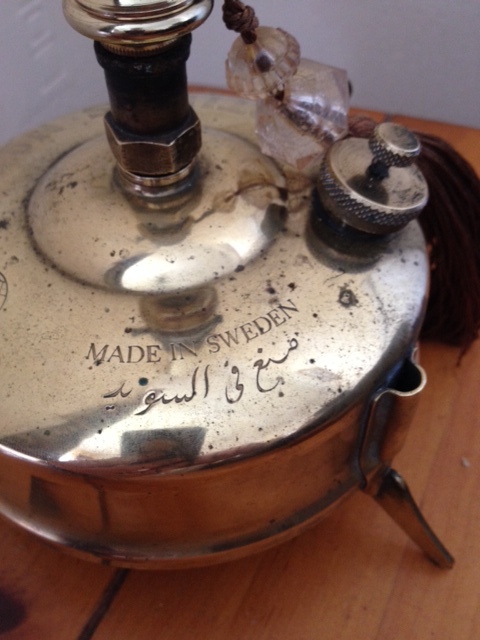 However, with some elbow grease, Brasso, metal polish and a bit of magic I found some really interesting marks on my newly acquired Swedish primus stove. 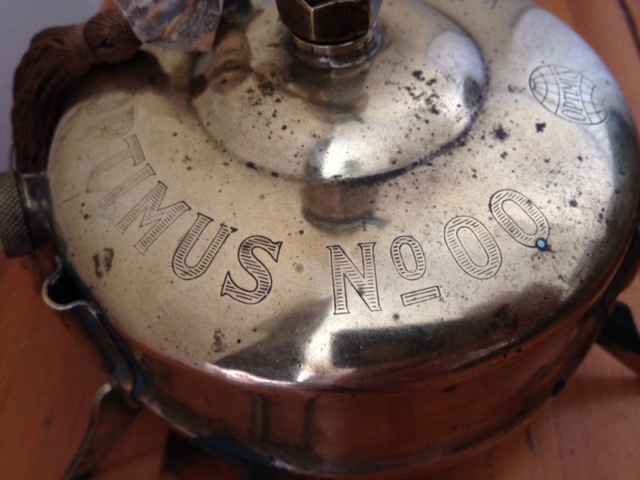 Low and behold, it’s called an Optimus 00 Primus stove! 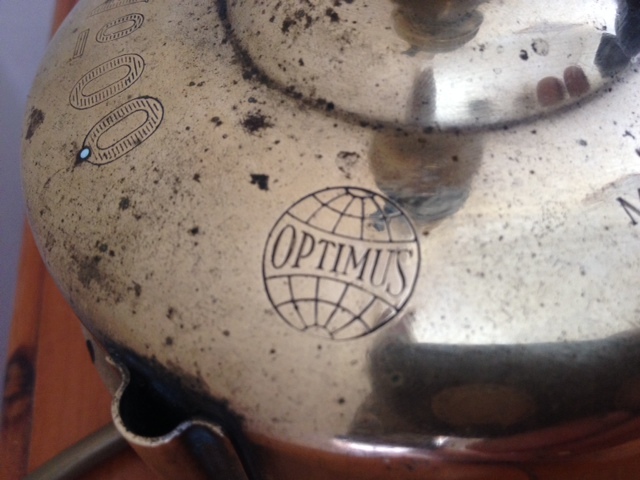 Now I’m not suggesting that Hasbro and Marvel have nicked the name from a stove company, I’ll leave that to some international jet set lawyer. But it does make you wonder where you could pick up a name from. My favourite author Lee Child is apparently an Aston Villa fan, so many of his incidental characters in Jack Reacher novels are given monikers paying reference to Villains past and present. I’ll leave the naming rights for this lamp out there with you. As always, it’s at Life’s Little Larks, Glovers Court, Preston (@lifeslillarks on Twitter and also to be found on Face Bookywook) waiting for it’s new owner to discover it. 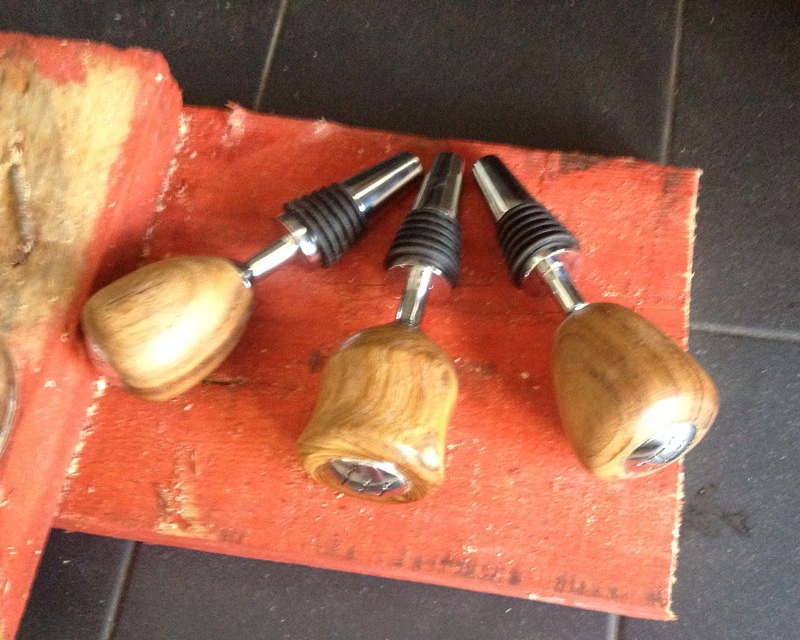 I love making bespoke items for lovely people. I don’t meet that many of you as most of my sales come through Life’s Little Larks (Glovers Court, Preston) and I no longer do many fairs. However, at fairs you will always get asked to discount, sell at less than cost, do ridiculous freebies, and normally by arrogant people I wouldn’t normally take the time to speak to. Here’s how I make one item, and why, you will see that the price I set, is very fair to you the customer, and will not be discounted, especially if you ask! Mark out the wood, hand cut. 10-15 minutes. Mark out and drill recess for the finished gear head. 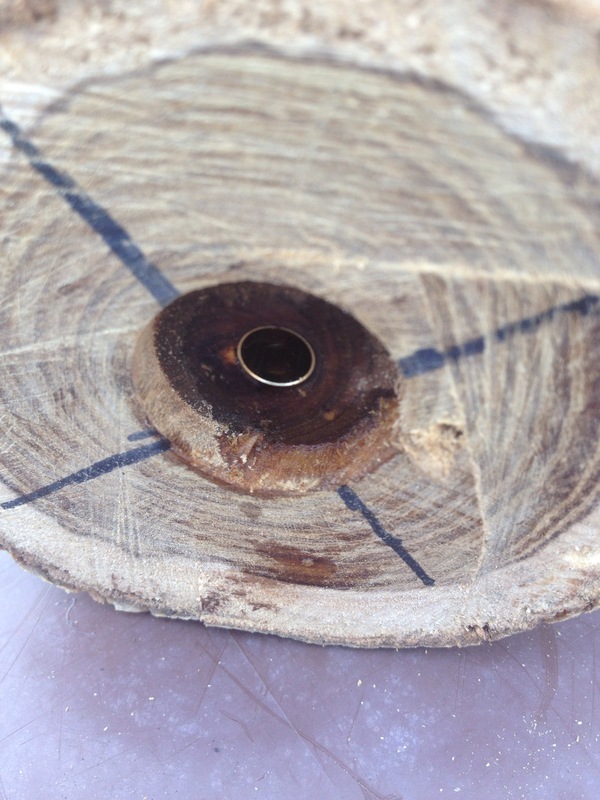 (Using a hand machined / fettle tool) then drill main hole. 5 mins. 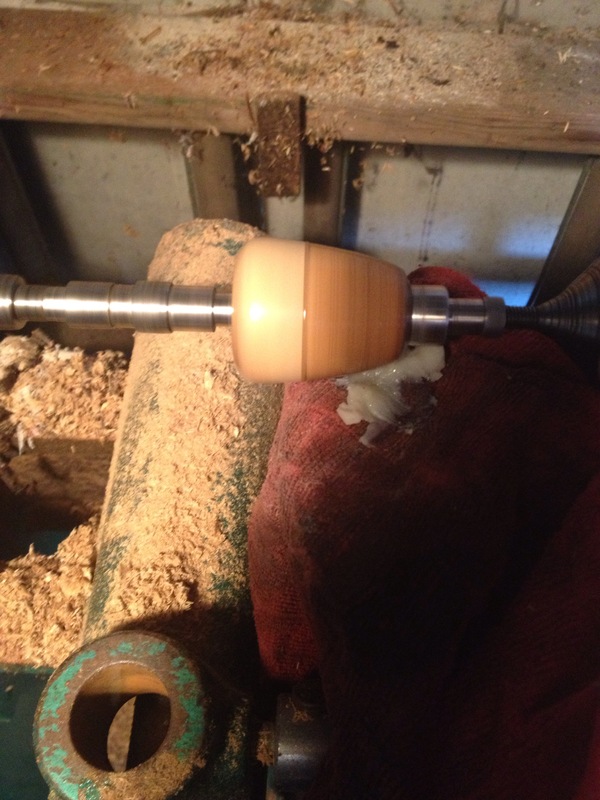 Epoxy the brass tube into the wood blank. Wait for glue to go off. 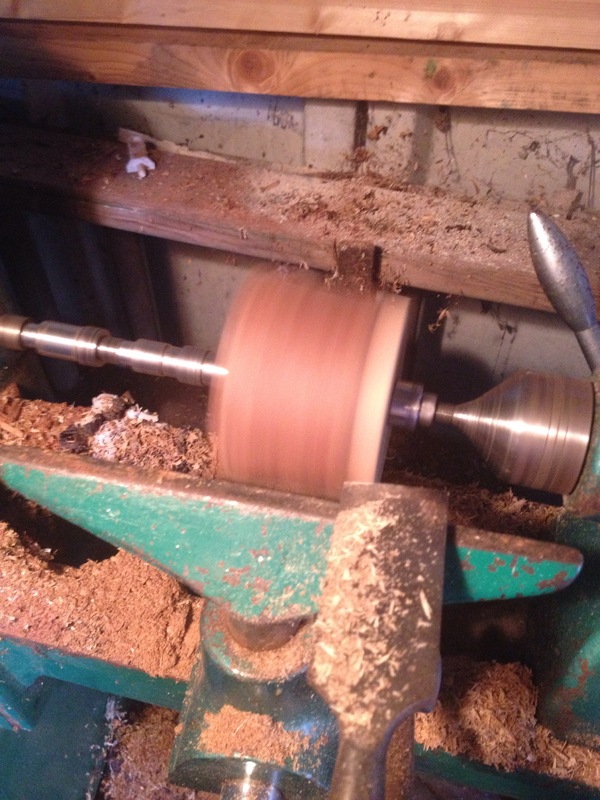 Mount onto mandrel on lathe. Set to clean off the excess length to ensure good finish to base. Square off the top. (5-10 minutes). 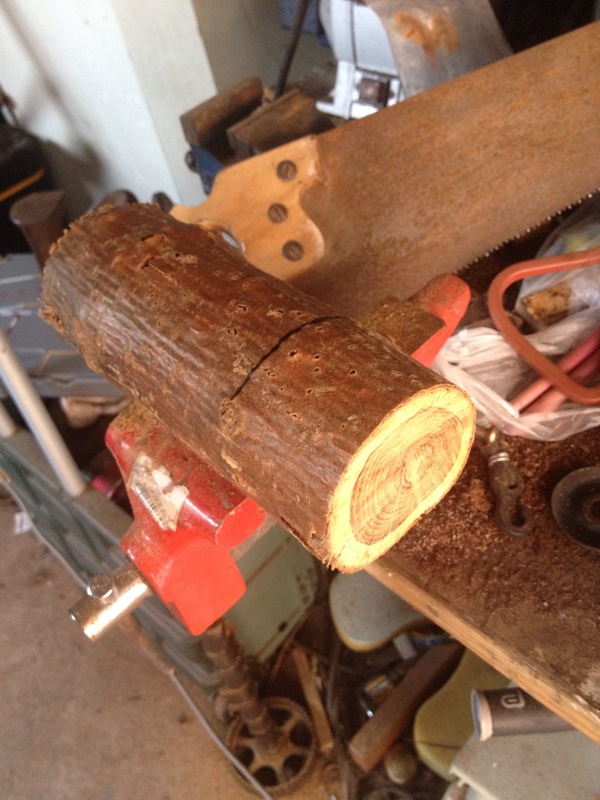 Clean down to heart wood. 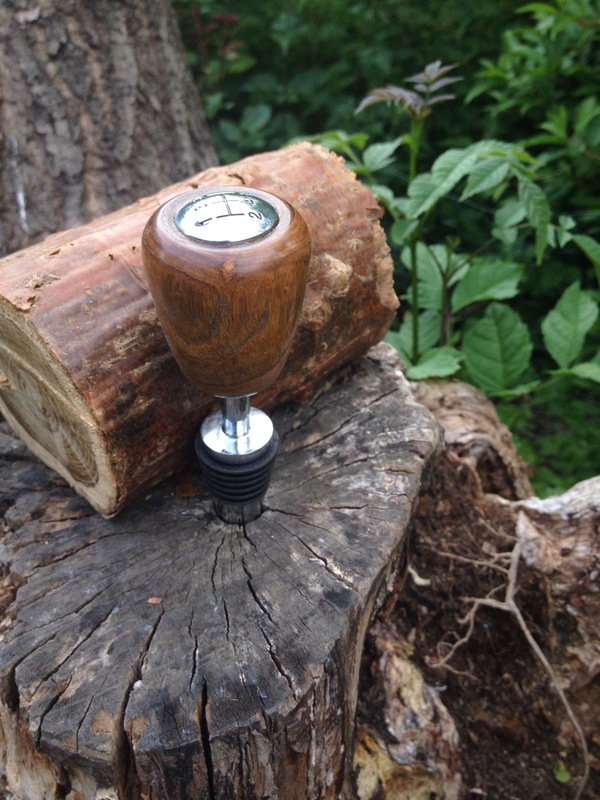 (By now you are covered in wood chips, bark and dust – should I add shower time and costs?) 10 minutes. 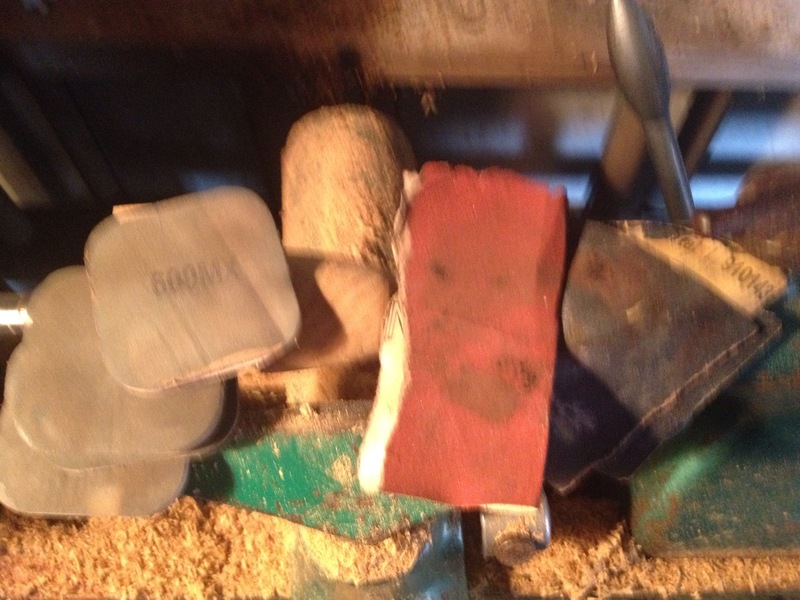 Sharpen the finishing tools. 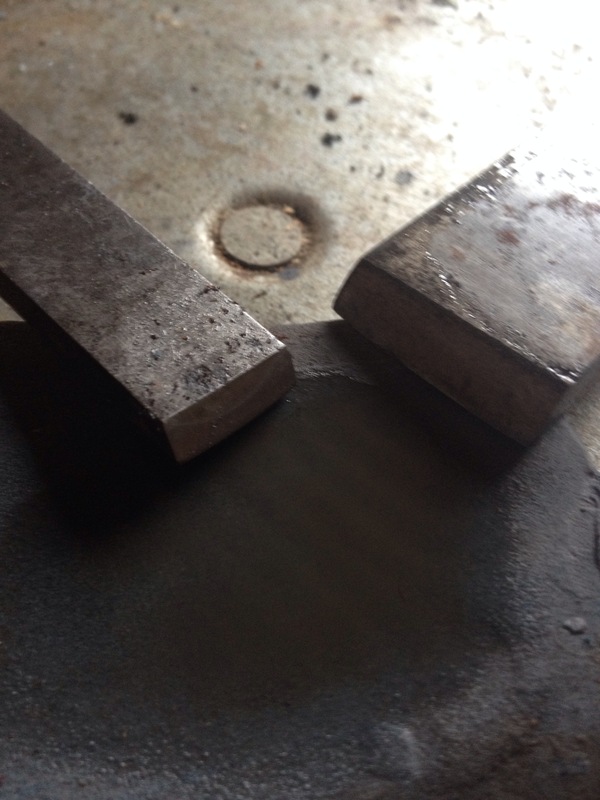 These are the specialist hardened chisels, not cheap! Hand done with oil and oil stone. 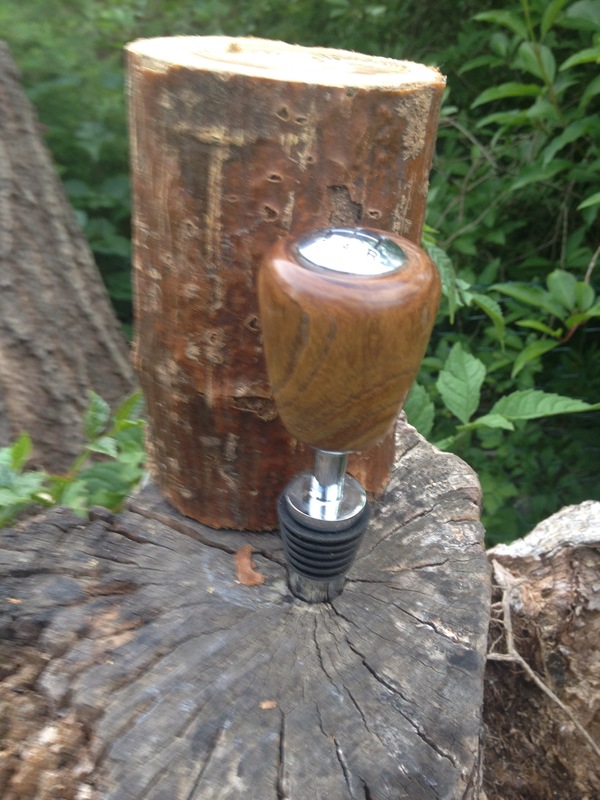 Finish shaping the piece. Ten minutes. 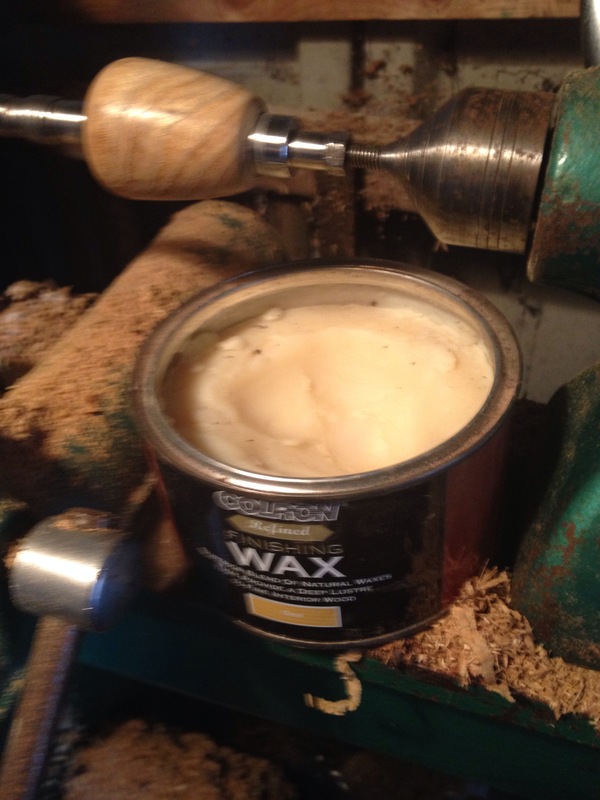 Then were at four sanding stage, not your 60 grit paper from B&Q. 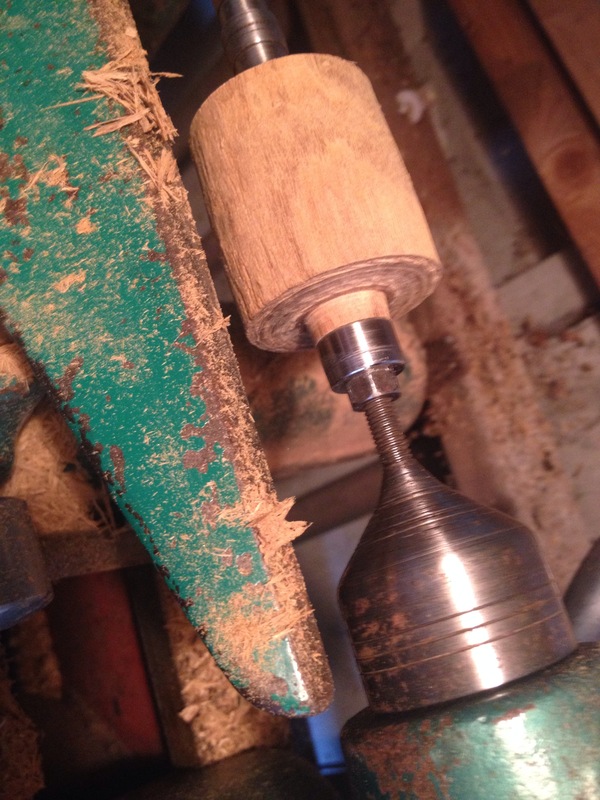 I can go to 6000 grit. 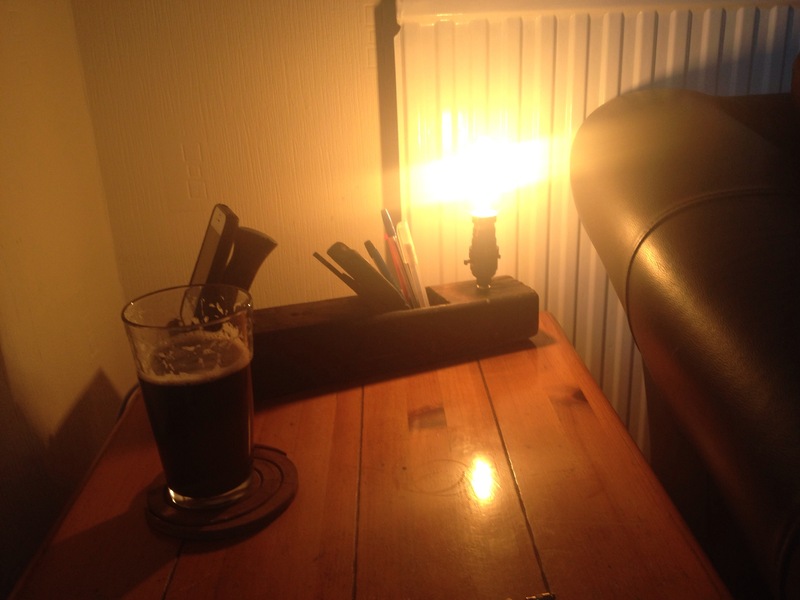 15 mins and a quick brew. 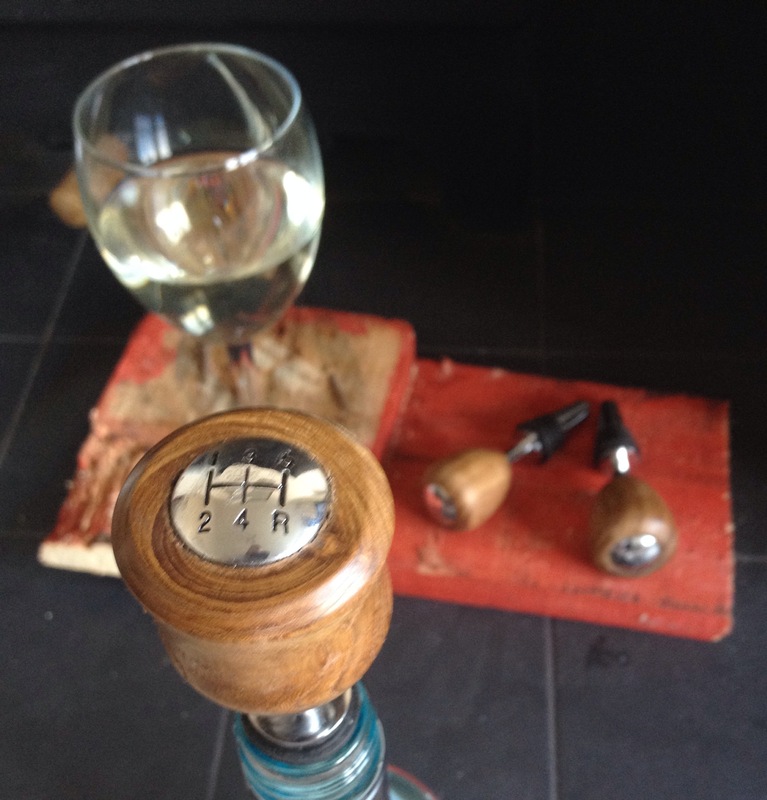 Polishing. Two or three layers. 10 minutes. Finally fabricate and polish again. So. Do the maths. I import the kits from USA paying postage, import duty and £16 handling per delivery. 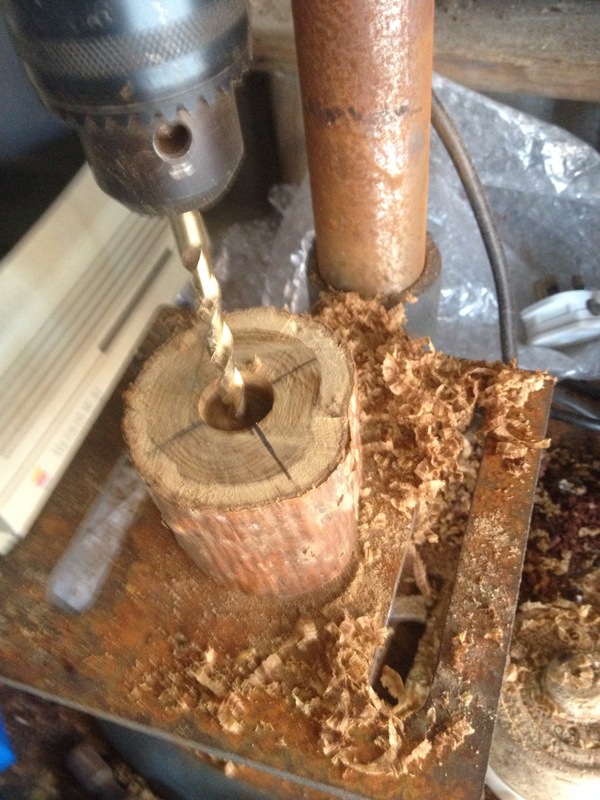 There’s the time, incidental costs of glue, electricity, oil, lathe etc. The cost of the table, transport costs to get to wherever we are and I’ve been here since silly o clock. Just to meet you and get asked to knock some money off. Politely and cordially put your request for discount back into your very tight wallet along with your three white fivers and I’ll sell stuff to lovely, happy, better looking and likely to live longer people, than you my miserly none customer. Happy Fathers Day for a lucky Dad in South Manchester. I’ve popped some freebies in the bag ‘cos I can, and because my customer is lovely I’m buying the brew which goes with the catch up. Have a great day and enjoy working out the value of things! It’s obvious and it’s in the title of the post, but don’t drink and drive. Ever. Great for petrol heads as well. I do believe it’s Fathers Day soon. Gifts a plenty. 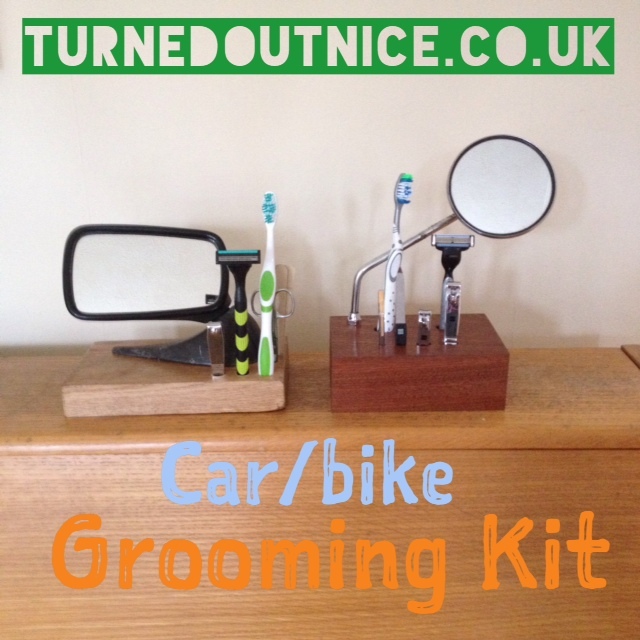 Contact me here (paul@turnedoutnice.co.uk) or get into the best biggest small awesome gift store in the North, Life’s Little Larks, Preston. Tell Elaine or Helena that I sent you! 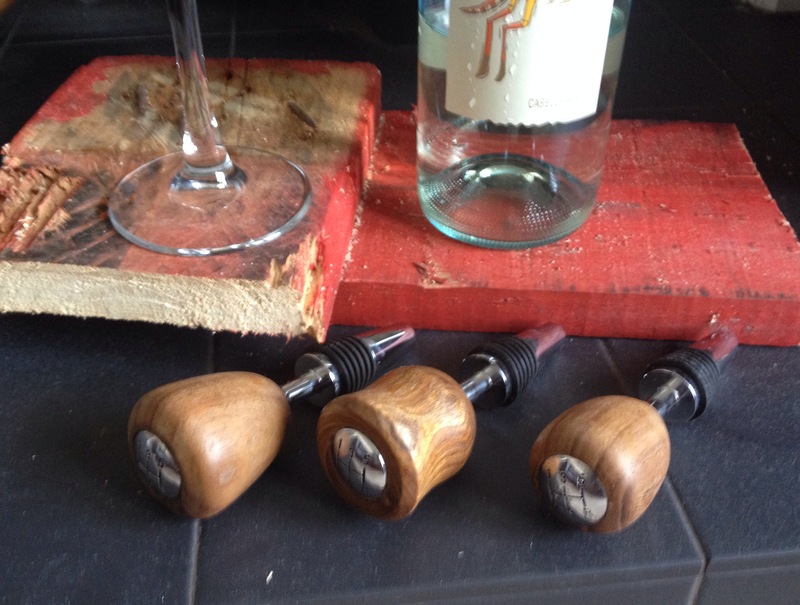 My regular customers will know I’ve been making these for a while, and that they are VERY popular. However, I’ve not been shouting about them, and maybe it’s time I did! 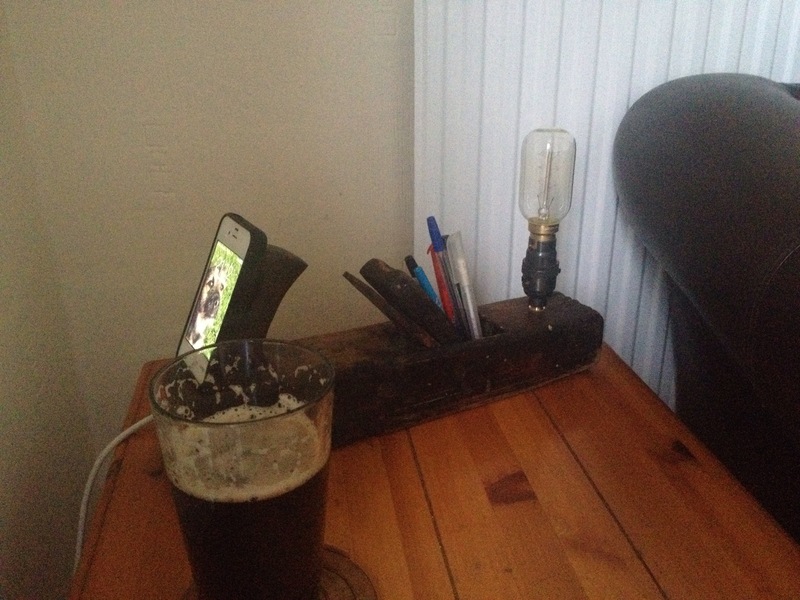 What better use for an old wing mirror? Ladies, you can make sure that your significant other is ready to be shown out on your arm, and that he has no excuse for not being immaculately groomed! 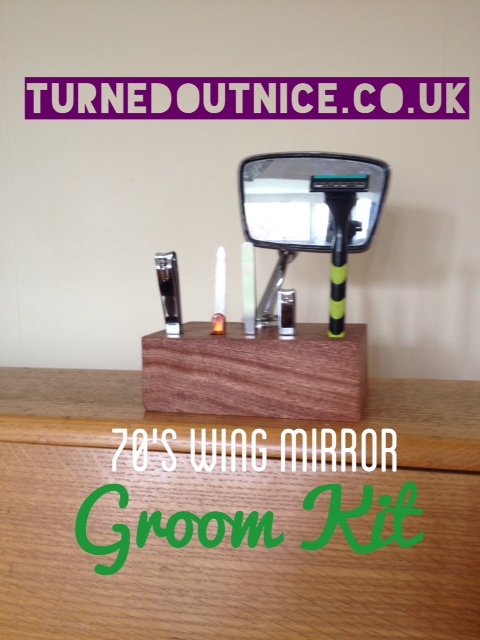 Whether he’s a child of the 70’s, a motor fiend, or a plain petrol head, what better way to get him to look into a mirror and to get grooming than to give him a wing mirror! 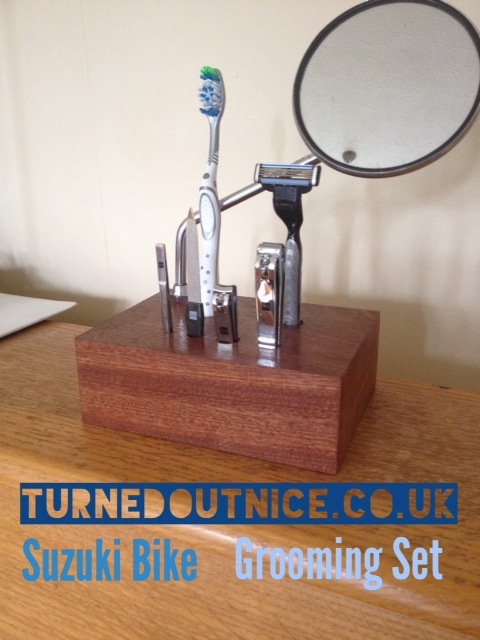 Each is mounted onto highly varnished hardwood and has a selection of appropriate grooming tools. He’ll never look better. Drop me a line for what I’ve got in stock, or if you have special requirements. 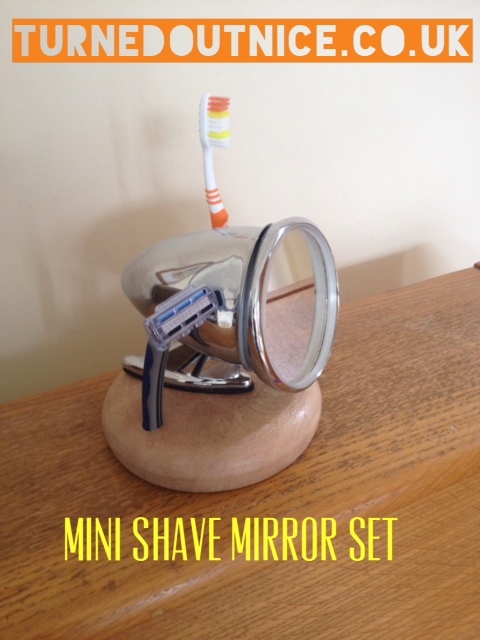 Prices are £30 and upwards, dependent on the base, the grooming products and how difficult the wing mirror required is to get hold of!